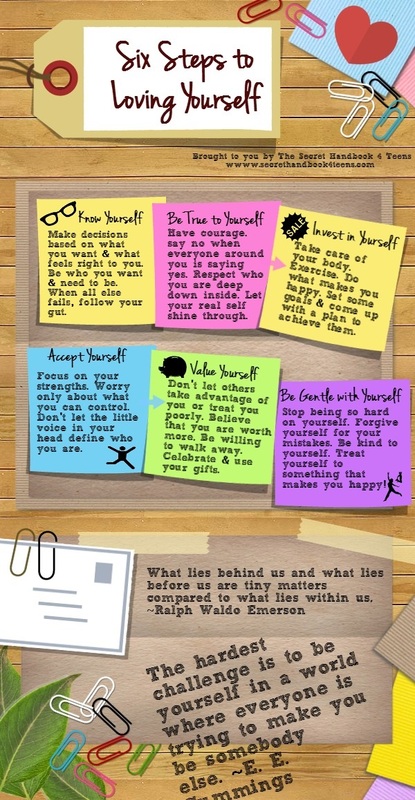 Learn 2 Love Yourself in 6 Easy Steps with this new fancy infographic! It’s true. I’m really loving these infographics for summarizing all this important stuff. I hope you’re finding them useful too! You can also view this here too! Open your mind. Open your heart. Say yes to your adventure.